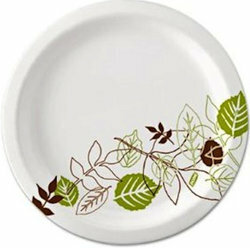 Dixie Pathway Collection Heavyweight Paper Plates - 8 5/8" Dinner plate, 125 Count Packs. This plate is just about perfect for the break room. Cost effective, yet sturdy enough to hold up in the microwave.